HomeNewsworthySearchable Online Version of the Catechism – Every Catechist Should Add This to Your Favorites! 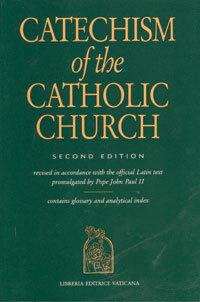 Searchable Online Version of the Catechism – Every Catechist Should Add This to Your Favorites! At long last, the U.S. bishops have introduced a searchable online version of the Catechism of the Catholic Church on the USCCB Website. Thanks to my friend Joyce Donahue for “breaking the story” and sharing it on Facebook so that we can spread the word. Every catechist should add this to your “Favorites” in your browser for quick reference when you are looking for clarification on a Church teaching. 7 Comments on Searchable Online Version of the Catechism – Every Catechist Should Add This to Your Favorites! is there a way to just go to the # of the paragraph in the CCC? I’d gone to the USCCB website earlier this week and gave up. – that said it would take forever to download. Tried with your link and no luck either. The “search” wanted a word/term. Christine, I had no trouble finding a paragraph number using the search. Be sure NOT to use # before the number..just type in the paragraph number. I downloaded the Catholic Catechism, and It did not take very long. Having it my computer makes a word search a simple task. What does the catechism say about celebrating the Chinese or Vietnamese, Year of the dragon, or pig, etc…? Where would I find issues like this in the catechism?